This charming Mount Pleasant home is located in the convenient Cooper Estates neighborhood and has lots to offer potential buyers. With four bedrooms and two bathrooms, the renovated home has plenty of space for a growing family. High ceilings and an open floor plan downstairs welcome you while abundant windows face out towards the backyard basking the home in bright natural light and views of the lake. The open floor plan at 630 Williamson Drive is great for entertaining because everyone can be included and conversation flows easily throughout the home. The contemporary kitchen is a focal point with fine finishes such as granite countertops and wood cabinets. Other highlights include double wine coolers, abundant storage, stainless steel appliances and a center island for additional prep space and casual seating. Adjacent to the kitchen is the living room which has vaulted ceilings, a cozy fireplace and a formal dining space. 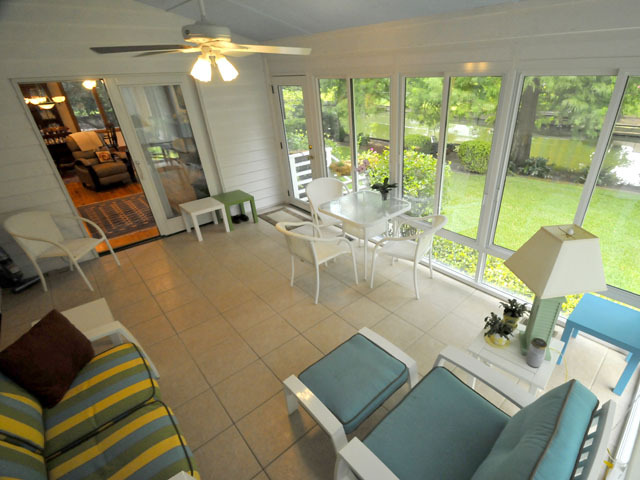 The area where you will be spending most of your time though is in the sun room. With floor to ceiling windows, vaulted ceilings and a ceiling fan, this room has been designed for use throughout the year. Curl up with your favorite book or have a glass of wine with friends while enjoying the lake front views. Back inside, you will find the master bedroom on the first floor. The spacious bedroom is complemented by a renovated bath with a walk-in closet, tiled shower and dual granite topped vanities. Two additional bedrooms are also located on the first floor as is an additional full bath. Upstairs, there is a sunny bonus room (currently being used as a fourth bedroom) with lots of storage space. 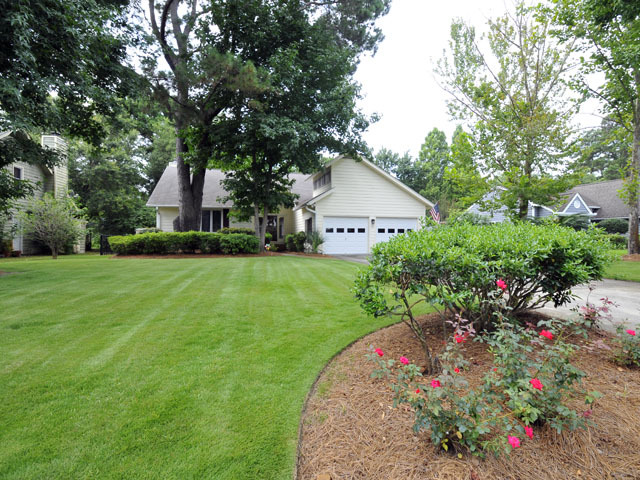 630 Williamson Drive is lake-side and has a private dock which is perfect for launching your kayak. The private dock and sunroom are huge highlights that make outdoor living and entertaining a breeze. Cooper Estates also has amenities including a private boat landing, dock and picnic area for residents. Top-notch public schools are located nearby as is Shem Creek so waterfront dining can become part of your weekly routine. For more information on this listing or to set up a showing, contact listing agent Diane Lesiner!